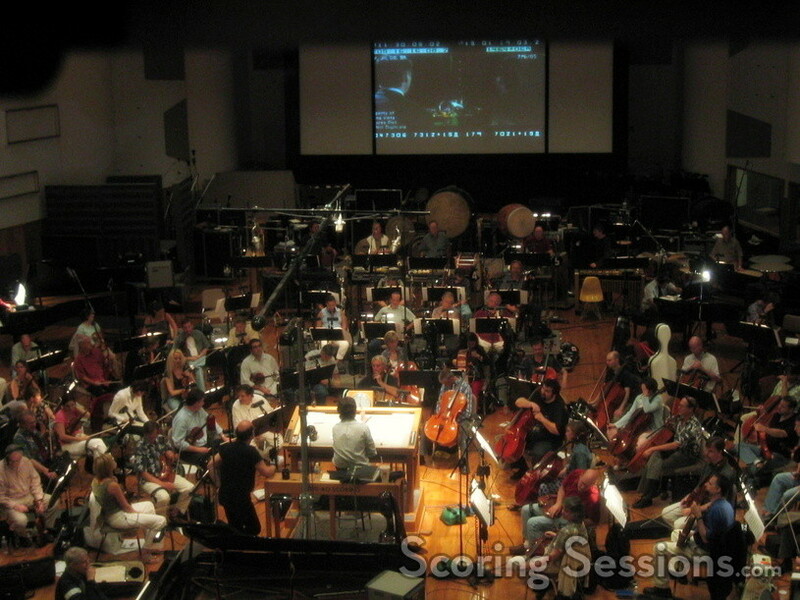 Today James Horner took to the conductor’s podium at the Todd-AO Scoring Stage, and led a 95-piece orchestra playing his score to Flightplan. Directed by Robert Schwentke, this “claustrophobic” thriller starring Jodie Foster and Peter Sarsgaard takes place on an airplane, where Foster’s child vanishes – and nobody admits that she was ever on the plane. The orchestra included five Steinway grand pianos, positioned around the stage. 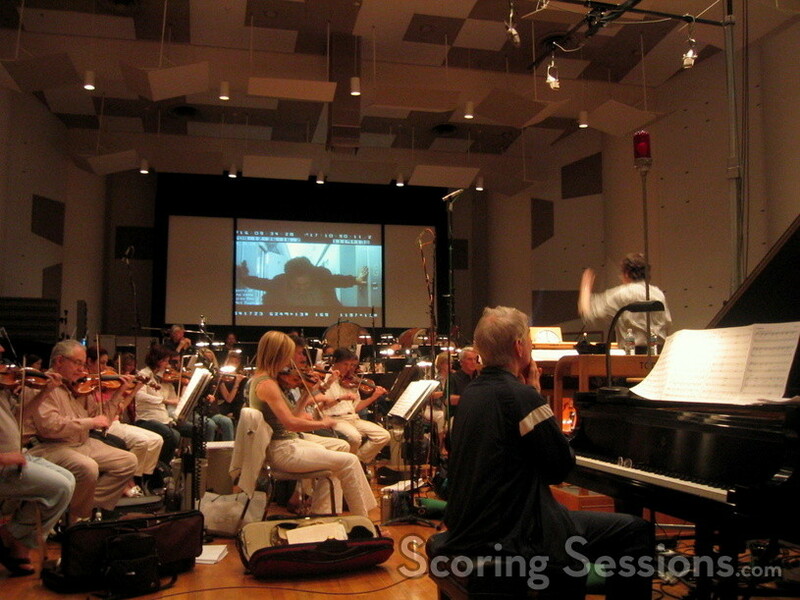 One of the cues played was a climactic action cue towards the end of the film, and at times during that cue, the pianists would have to “prepare” their pianos – altering the sound by placing putty between the strings. They were used both as melodic instruments, and percussion. Speaking of which, two taiko drums pounded out large hits, as the strings built up the tension. Orchestrators on the project are Randy Kerber (who also performs one of the pianos), Jon Kull, Conrad Pope, and Kevin Kliesch. With Legend of Zorro recorded recently, and The New World recording in August, this is turning out to be a very busy year for Horner. Flightplan is scheduled to come out in theaters on September 23, 2005. No word at the moment of a score album, but it would be surprising if there wasn’t one. Thanks to Peter Rotter and Monica Zeirhut for allowing us into the session, and extra-special thanks to James Horner for being kind enough to let us stay and cover it for our readers.